The Context of White Supremacy welcomes the return of Trojan Horse Publications founder, Pam. An all-time C.O.W.S. favorite, Pam has co-authored a litany of constructive counter-racist material, including: Black Love Is A Revolutionary Act and The Interracial Con Game. She also manages the counter-racist blog, RacismWS.com. 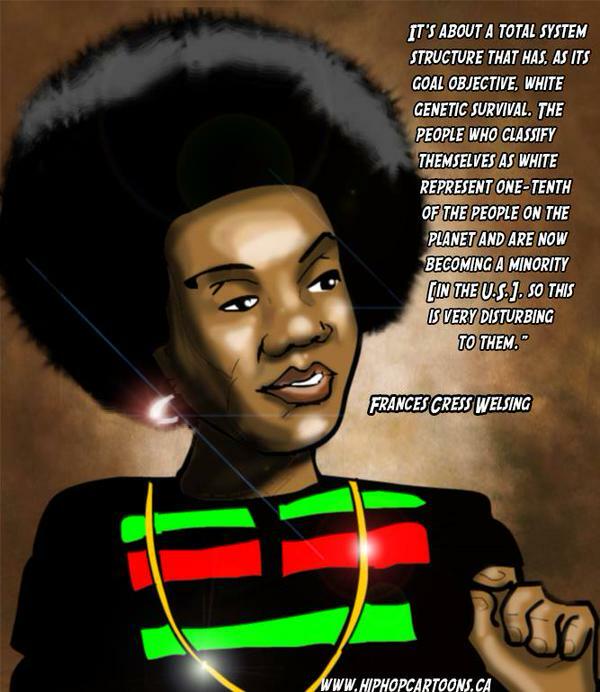 Like many, Pam has been deeply impacted by the sudden and colossal loss of Dr. Frances Cress Welsing. Over the years, Pam has repeatedly referenced the enormous impact that Dr. Welsing had on her understanding of and motivation to counter-racism. We’ll get her reflections Dr. Welsing’s legacy and how we should apply her teachings moving forward. We’re eager to hear Pam’s thoughts on the significance of Dr. Welsing sporting natural hair for the duration of her counter-racist effort. As Dr. Welsing and Pam both have strong ties to Chicago, Illinois, we’ll get Pam’s thoughts on the current madness in the Windy City.